Guest Bio: Gerald Quigley is a Community Pharmacist and Master Herbalist based in Melbourne. He is well known for his unique view of health from a holistic perspective. Gerald is also media health commentator heard each week on many radio stations across Australia. He has a great passion to empower people to make sensible health decisions, and to continually maintain and improve their quality of life, especially as they age. 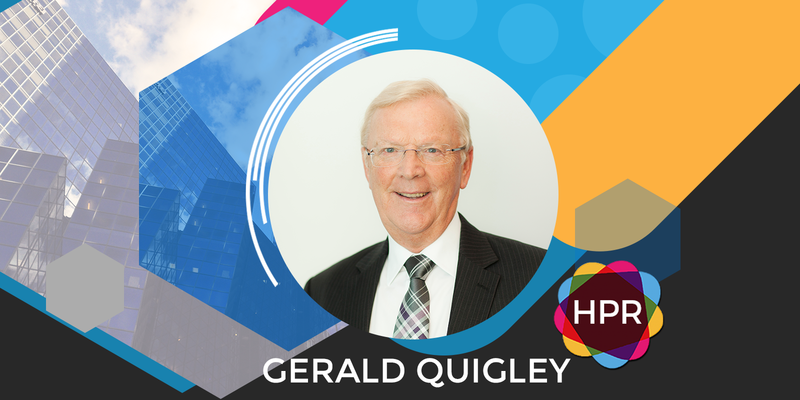 Segment Overview: In today’s interview, Gerald Quigley comes back on the show to emphasize on the importance of brain health and what people can do to take good care of it. He also promotes the amazing herb known as bacopa monnieri which is proven to support memory, concentration and help with cognitive function. Tabetha Moreto: Hello everyone, welcome to Health Professional Radio. I’m your host today, Tabetha Moreto. Our guest today is Gerald Quigley, Pharmacist and Master Herbalist based in Melbourne. He is joining us once again to talk about the importance of our brain health and the lead up to Brain Awareness Week 2018. Also, we’re going to talk about an amazing herb that is said to help with brain health. Without further ado, welcome back to the show Gerald. It’s very nice to have you here again. Gerald Quigley: Thank you Tabetha. And a very important topic today isn’t it? Because look, we worry about our heart health, and we worry about joints and we worry about our liver if we have a bit too much wine. But no one ever really worries about the brain. And yet it’s there working so incredibly hard, day in, day out, overnight works very hard at overnight and we just expect that this amazing organ will never need much support at all. It will just go on regardless but it’s not quite as easy as that. So look, there are a number of issues of concern here Tabetha and probably the main one is that Australians are now living to an older age and they want to live as well as they possibly can. So they want to be maximizing their physical health, their emotional and mental health and at last, we can now say we’ve got some tools so we can help you with your brain health. And those tools are very, very important and some of them are very simple. But we know now that over time, we can increase the ability of our brain as we age to regain function that perhaps we weren’t even able to think about when we were younger. We used to think “once upon a time,” but when we go through our 25, our brain was working at maximum capacity. Now there’s a new phrase, it’s called, “Neuroplasticity” and it means that we can actually teach parts of our brain that weren’t functioning as well years ago to almost light up and come alive and do things for us that we probably never think we could do before. And neuroplasticity essentially means that we need to be challenging our brain by staying socially connected and when we feel socially connected, you will live to a ripe old age because you’re exercising your brain with your friends all the time. You can learn a language, you can learn a musical instrument, you can join a choir, anything that requires you to learn and learn, and reproduce and practice and that challenges you to learn more. That is a way that we keep our brain in as good a shape as we possibly can. The other dampener on brain health is this awful word “Stress.” And we all live with stress and each person, each adult and child for that matter, I couldn’t even spell “Stress” as child now. I have child patients who tell me that they’re stressed in my clinical work. We have to learn that stress can have a negative impact on our health, particularly our brain health and it’s because we are caught up in so many of the issues in our social network these days, not our real social network, not our real friends, just what other people are doing and often what they expect to us. And the soon we recognized that health can be draining, I saw a survey the other day, 42% of women feel rushed or pressed for time mainly due trying to balance some work and home responsibilities. And really, it’s the family demands and work demands and when you can see that, so many women especially use a lot of their time just for generally caring for the family, it’s no wonder they’re tired and they’re stressed. Men don’t escape either Tabetha, men have demands, increasing demands, demand to be better at what you do than ever before because of the perceived fear of competition. “Someone will do my job better that I can. Oh dear, this means I’ve got to spend more time at work.” Even though we know that spending more time at work doesn’t necessarily alleviate any stress at all. There’s a number of those issues, but if I could just summarize a few of the lifestyle things. We’ve got to be social, join a club, go and meet people, challenge yourself to meet someone new everyday and remember their name. Try and learn something new. If you’ve never learned to play cards, go and learn to play cards, go play bridge or solo because it is wonderful for your brain. Exercise, we underestimate exercise so much and yet, it’s free, you can walk around the block, you can go out and smell the roses, you can dive to the beach and walk along with your feet in the water, it doesn’t no cost anything and yet we underestimate the value of that. So exercising regularly, the experts have even worked out that a total of half an hour a day – half an hour a day will make a real difference. We’ve talked stress, we need to just understand what stress does to us. And that probably brings us to nutritional support, herbal support. There’s been lots of work done over the years on a number of different herbal options. But now researchers have really been, they’re getting very serious. And they’re testing particular herbs for what they can do for retention, for concentration and actually to help reduce the levels of stress. So almost if the phrase they tend to use Tabetha is “Neuroprotect.” The herb that a lot of the research was done particularly at the Australian, the Swinburne University of Technology and there’s a center there of Human Psychopharmacology which is a word that 20 years ago we have no idea it would ever exist. And the researchers there have shown that it’s a very old plant-based remedy called “Bacopa Monnieri.” Now it’s been around and used in Indian medicine and Chinese medicine for years, and years and years. And I don’t think we ever realized the potential, the concentrated extracts of this particular herb might be able to do the modern brain, to defend it against oxidative stress through its neuroprotective and antioxidant effects. And we’re talking here about supporting cognitive function to help our brain, none of us are going to be Einstein if we expect that we can take a herb like Bacopa Monnieri. It’s that particular extract that’s been used in the research, very long name it’s called the CDRI08, that’s an extract of Bacopa because it’s lot of different types of Bacopa and lots of different types of many herbs. But what we’re learning now that particular extracts have particular strengths and ranges of what we call “Actives,” these are the active ingredients. Garlic consists about 80 different active ingredients. But some species of garlic have more than others, and it’s the same with Bacopa Monnieri. The actives here have been proven within the Center of Human Psychopharmacology to make a difference in improving cognitive function. This is exciting stuff because it just means as Australians across the world – as we age, we now can look at our brain age at 80 as to have our brain age at 55. We will be able to more definitively explain these things as the research goes on. But at this stage, published papers clearly show there are benefits. How exciting is that? T: Yes, it’s very exciting indeed. Especially there’s a herbal there that can help with cognitive function as well as other parts of our brain health. G: Remember, we have to do our bit. The herb will help. But we have to make sure that we have sufficient intake of important things like omega-3 fatty acids, we have to use all the richly colored, brightly colored fruits and vegetables, the ones that are in-season because that makes a difference to the content of our brain. We have to do our bit to exercise our brain, the same way we exercise the dog and the same way we do all sorts of things about exercise, we have to exercise our brain as well. So nutritionally and with some herbal back-up support, we are maximizing our potential as we age. T: That’s excellent to hear. Can you tell us Gerald, why is this relevant to other health professionals? G: Well so often Tabetha, we find that people can sometimes be given diagnosis of cognitive decline and it’s very worrying. I see people in my clinic that if they forget where they put the car keys, they think they’re on a downward spiral. The pressure to be perfect at all time as we age is on it. Many people are working with grandchildren, that’s the free babysitting and they want to be as active mentally and socially as they possibly can. And they worry when they can’t keep track of what’s going on. So that little parcel of things I’ve mentioned, very important to consider, if we’re trying as I said before to maximize the potential of our brains, keep us involved, keep us occupied, keep us engaged and the wonderful thing is it maintains our quality of life. We can’t stick at the moment around and measure a person’s quality of life. It embraces everything we do but fundamental to that is to have efficient memory, efficient cognitive function and just to be able to remember things, not instant recall as if we’re studying for exams. But just the logically remember things that are in locked away in our brain that we can bring back when needed. It’s a very comforting thing to be able to do as we age. T: Yes, that’s true. I agree with you. In my case, I’m in my 20s but there are times where I’m very forgetful. Just like what you mentioned earlier, I think to myself, “Am I losing my mind? Is there something wrong with me? Where did I put my keys?” So I think about all these kinds of things. G: That’s fascinating, isn’t it? And as someone as young as you, that just goes to show the pressure to be perfect is on you all the time. Now there’s no age restriction for a herb like Bacopa Monnieri. In fact, there’s been some work done with students because they need to remember things. The pressure to be at high-up the scale from an education perspective is there constantly particularly as you’re getting your senior years at school. This can be reassuring when we know that we do have an option and there will be a lot more work done on this. Look, we’ve got to remember and sometimes, we’re in an age Tabetha where we think “there’s a pill for every ill.” Problem A can be solved my Pill B. Problem C can be proven by Pill D. And there’s nothing further from the truth. We have to embrace many of those lifestyle improvements as possible, we have to get our sleep quality right. The greatest brain restore of known to man is the ability to get restful sleep. But I wonder how many people across the world can actually say, “We go to bed tired and we wake up completely refreshed.” Certainly in Western society where big screens dominate lounge rooms and big rooms, I would say that would be the minority of people. And that is the only way your brain can recuperate and the precious we put on it across the day. T: Excellent. I would love to talk to you more Gerald but we’re running out of time. But before we go, what is your main takeaway message to all of our listeners out there? G: I think the main takeaway message is to be reassured that your brain will always reach potential if you give it the best opportunities. So good sleep, good brain exercises by staying social and learning new things and exercising should be put stress under control. Eat the right foods in season, eat fish as a good source of omega-3s and to consider if necessary, the herbal support that we now know is the clinical evidence behind it of Bacopa Monnieri. T: Excellent. And last for those who want to contact you, how can they do that? G: This is through my website Tabetha which is www.geraldquigley.com and there’s a little tab there on those emails come through to me. T: Fantastic. Thank you so much Gerald for coming back on the show. It was very nice having you again. G: Thank you Tabetha, all the best to you. T: And that was Gerald Quigley, we’ve just been talking about the importance of brain health and how can we take care of it. If you liked this interview, transcripts and archives are available at www.hpr.fm. We’re on all social media platform so don’t forget to follow, like and subscribe. Show us some love by subscribing to our HPR YouTube channel. We’re also available for download on SoundCloud and iTunes. I’m Tabetha Moreto and you’re listening to Health Professional Radio.